Read customer reviews of the Foldable NightHawk Drone with FPV Wi-Fi Camera. After a purchase, we invite our customers to leave a product review. The customer reviews for Foldable NightHawk Drone with FPV Wi-Fi Camera are below. For the price this item is pretty good and performs reasonably well’ a good introduction to the world of Drones. 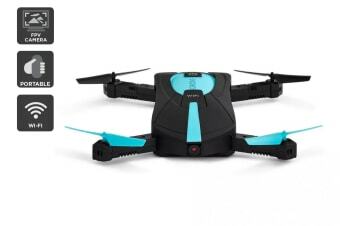 A good quality drone for the price - and great that it can be folded and put into your pocket. I had a reasonably light crash, now it runs but wont fly.